John Lennon og Yoko Ono feiret bryllupet sitt med å utgi en boks som inneholdt en LP, et bilde av et kakestykke fra bryllupskaka, bilder fra vigselen og diverse andre trykksaker. Nå feirer Yoko Ono 50-årsdagen for bryllupet, eller gullbryllupet som det ville ha vært – ved å utgi albumet på nytt, både på CD og LP, samt som digital nedlasting. Originally released in 1969, John Lennon and Yoko Ono’s Wedding Album was the couple’s third experimental, album-length record, and one of the most remarkable of the duo’s testaments to an intense romantic and artistic partnership that would last fourteen years, until Lennon’s tragic passing in 1980. On March 20, 1969, John and Yoko were married in a civil service in Gibraltar. To celebrate the event, in lieu of a conventional honeymoon, the newlyweds spent a week in bed at the Hilton Hotel in Amsterdam, inviting members of the press into their room for interviews and photo sessions, and using their fame and the publicity generated by their «Bed-in» to call attention to their campaign for world peace. With Wedding Album, John and Yoko created an enduring snapshot of a vibrant pop-cultural moment, with the hostilities of the Vietnam War as its bracing backdrop. It captures the humor, earnestness, and spontaneity that marked the early years of the «Ballad of John and Yoko» era. 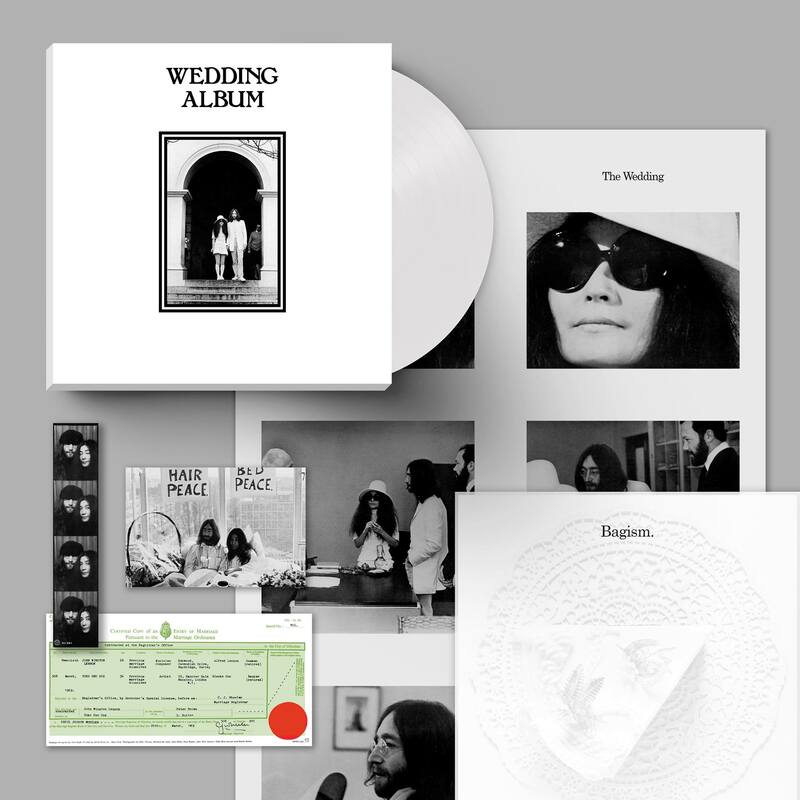 Wedding Album’s innovative, original packaging, created by graphic designer John Kosh, included a box filled with souvenirs of John and Yoko’s nuptials: photographs, a copy of the couple’s marriage certificate, both Lennon’s and Ono’s drawings, a picture of a slice of wedding cake, and more. 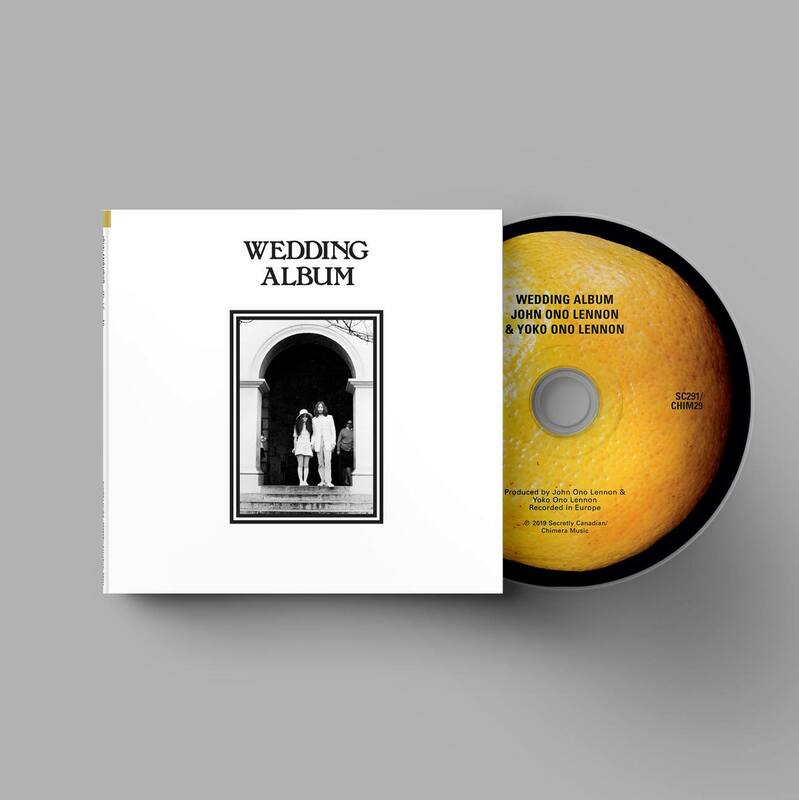 Now, with a faithful recreation of Wedding Album in limited-edition, white-vinyl LP; compact disc; and digital-download formats, Secretly Canadian and Chimera Music are making one of the most unusual and emblematic recordings of the Sixties available again – fifty years after John and Yoko were married – to mark the golden wedding anniversary of two of the 20th century’s most emblematic cultural figures. I tillegg til denne hvite utgaven kommer det også en utgave på klar vinyl fra det UK-baserte selskapet Rough Trade, denne da i svært begrenset opplag på 300 stk. Norwegian Wood © 2019. Alle rettigheter forbeholdes.